Get to know other Positively members here. Try number 7 Is anybody looking into the issue of being told one has to log in again when one hits the submit button. Thinking about it, this could be something to do with your cookies. Do you know how to delete cookies for a specific site? It'd be worth trying, if you haven't already. Cookies cleared. That doesn't seem to have fixed it. Try number 2. Grammy to Sky and Sirius, who came to live with me, stole my heart, and changed my life forever as I took over their care and learned how to be a dog owner. Well 2 tries is better than 7. Dogs are having a lazy day today due to rain. Sky went out this morning and decided to enjoy the cool while staying somewhat dry under the outside table. She refused to come back inside until it started raining harder and a puddle formed where she was lying. Sky came in and Sirius went out. Sirius also went under the table where she decided the puddle looked tasty. My sister's dog hated the rain, despite having been a roughie toughie farm dog for the first three years of her life. Sis always promised her a gazebo - but could never afford it. MPbandmum, it'll be interesting to see if deleting the cookies has made a difference, though it sounds like it's not been a complete fix. I shall try to remember to ask OH if he can think of any reason. Or you could try contacting the forum admin - there's a 'Contact us' link at the bottom of the page. 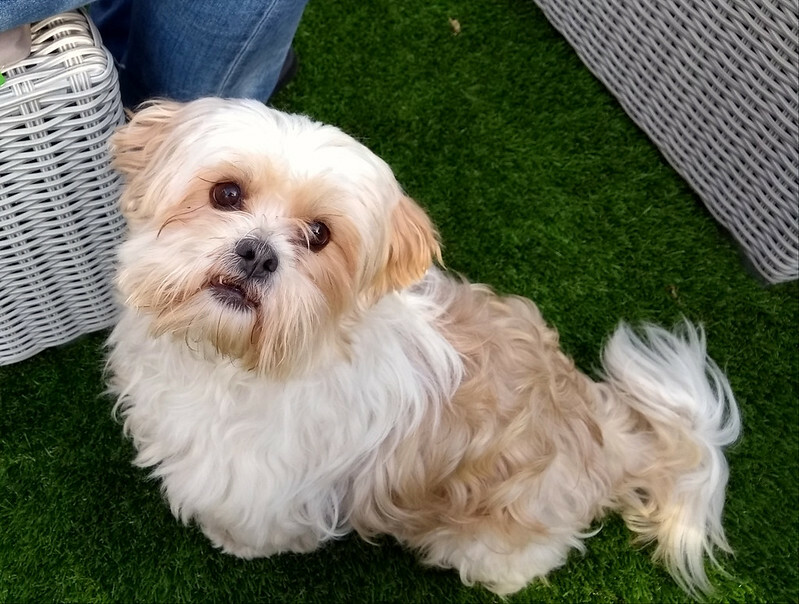 We spent the day with OH's mother, sister & brother in law today, as they are staying in a cottage just under 2 hours drive away, and also met their new lhasa apso, G - a 3-year-old rescue. She is lovely, and quite a character. I've just been reading a description of the breed and she does sound typical - friendly but knows her own mind, cuddly(ish) but also quite regal and dignified. And not keen on strangers when they first appear. She and J got on fine, all very polite and dignified - though J did have a growl at her when he was lying on his blanket in the garden and she thought about snuggling up next to him - SIL quickly removed her. He's a bit territorial about his blanket. My dogs have been doing great on bys with other dogs recently at distances which were previously a problem. I have deleted cookies and attempted to contact admin, but received the message, invalid form. I forgot to ask OH I've just asked for suggestions on another forum, and someone has asked if you've tried using a different browser, and also if you ever get this on other forums. You could also try emailing [email protected] I can't say that is the right email addy, but it would be the usual format. There are numerous reasons why this could occur. Without knowing the specifics of the browser and/or the forums these are just guesses. Browser only allowing Session Cookies. Session cookies are set just for that particular instance of using the website. If you close the browser they vanish and you'll have to start all over again. Some authentication cookies can be set for incorrect domains. For example if you logged on to thegreenlivingforum.net the cookie might not be available to http://www.thegreenlivingforum.net (or vice versa). This is particularly applicable to HTTPS secured websites which sometimes do not allow cross domain cookies. It's very much dependant on how the website is configured and the type of forum software. Very common in business arenas. The actual login system is handled externally to the website in question. In many cases this can by what's called "OAuth" authentication. Sometimes this just not allow the authentication connection to transfer the registered information properly. Sometimes when connecting to the 'net, the user may be connecting through a proxy which allocates different IP addresses or connections each time. Some authentication methods include the detection of which network address you're using (very common in the Banking Environment where it stops people trying to trying to attempt to inject fraudulent transactions). As I said, I can't be sure of the exact cause without knowing more details. The forum is the exact same software as used here. It is correctly formatting the cookies (it uses root level cookies, so www.positively.com resolves to positively.com) so it doesn't matter which URL is being used. It has been configured properly. I would argue its more of a personal computer problem then a positively one given that no one else seems to be having these difficulties. Yep, I think that's what my tecchie friend was saying in his last post - by 'local browser' I think he meant MPB's browser. Thank y'all. I'm trying a different browser. We have been having such good walks lately even with both dogs together. 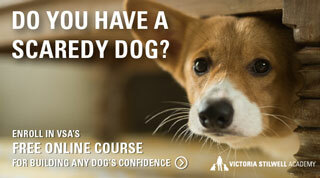 They seem to just get better and better at passing other dogs. We are still passing at a distance, but there have been times recently where they glanced at the other dog and then went along minding their own business. Yippee! I pretty much have to take both together these days due to the length of time it takes Sky to take her walks. We walked a little over 2 miles yesterday and it took an hour and a half. We are starting a 100 miles between Fall and Winter challenge this weekend. Once time changes, I think we will be spending a lot of time walking in the dark.